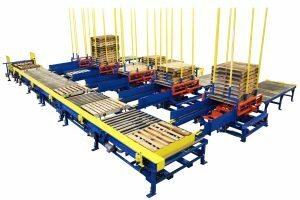 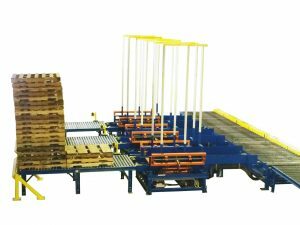 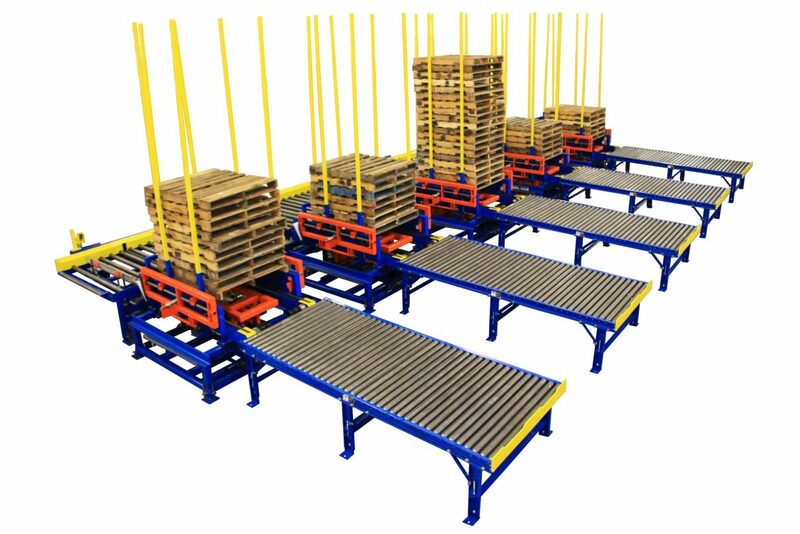 The AMS Hydraulic High Speed Multiple Stacking System is capable of stacking from 2 to 4 pallet grades and can be customized to accommodate more grades dependent upon the application. 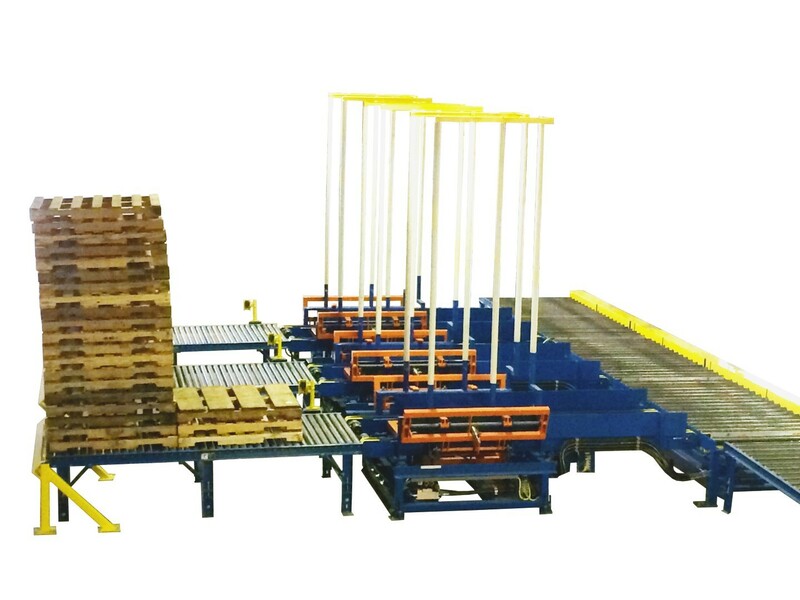 The stacking system is designed for high production rates and comes with a remote operator console mounted on a podium for pallet grading with full jog functions in the main panel. 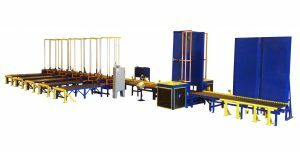 Direct Modem Communication provides extra customer service for operation and performance upgrades. 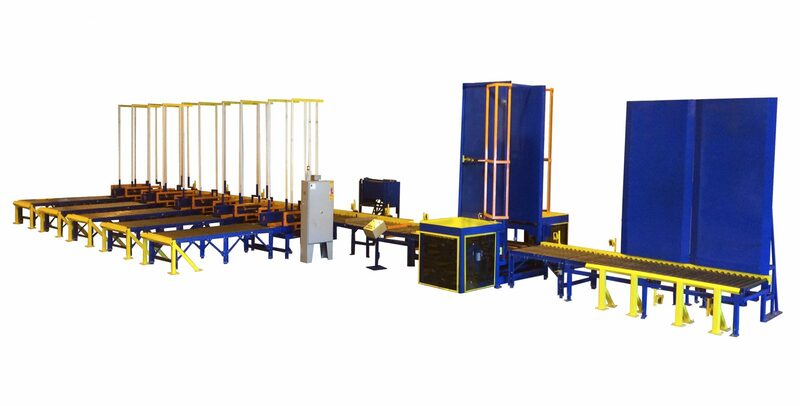 Touch screen diagnostics allows quick maintenance and troubleshooting solutions.